Foreign football fans planning to attend this summer’s FIFA World Cup in Russia can now collect their FAN IDs at Russian Science and Culture centers located across Europe, Russia’s Communications Ministry said Monday. Supporters can now pick up their FAN ID – which provide visa-free entry to Russia from ten days before the opening match to ten days after the final – at Science and Culture centers (Rossotrudnichestvo) in Germany, Spain, Italy, Serbia and Finland. 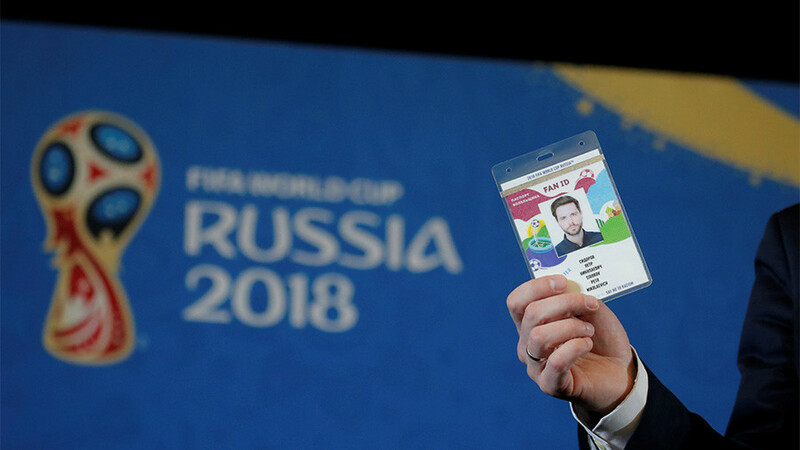 Fans may chose a place and method for delivery of their FAN ID, obligatory for each fan attending matches at the World Cup, by submitting an application on the specially created FAN ID website. Foreign citizens may obtain their FAN IDs by mail and in several VFS Global visa centers. Russians residents can collect their personalized FAN IDs by presenting identity documents at specially designated postal distribution centers established across 140 Russian cities. The FAN ID system was successfully tested at the 2017 Confederations Cup last summer, and will also offer fans additional benefits such as the free use of public transport within and between World Cup host cities. Russia’s flagship airline Aeroflot has introduced a special ‘Fan tariff’ ticket price, allowing Russian fans traveling to see their national team play at the World Cup to buy tickets for just 5 rubles ($0.09). Russia will kick off the tournament at the newly-renovated Luzhniki Stadium in Moscow against Saudi Arabia on June 14. The World Cup will be staged in 12 stadiums located in 11 Russian cities: Moscow, St. Petersburg, Kazan, Nizhny Novgorod, Saransk, Sochi, Kaliningrad, Ekaterinburg, Rostov-on-Don, Volgograd and Samara.